With the immenent challenge of feeding 9 billion by 2050, how will sustainable intensification stand up to the multi-dimensional issue that is food security? “Producing more food does not necessarily reduce the food security issue; food security is multi-dimensional.” Tara Garnett, head of Food Climate Research Network, based at the University of Oxford’s Environmental Change Institute. 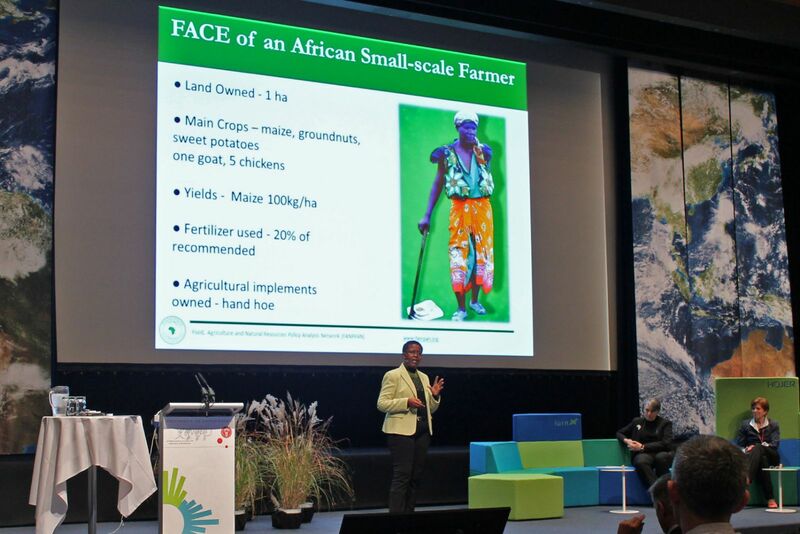 The idea of sustainable intensification as a solution to the issue of food security was at hot topic at the recent International Alliance of Research Universities Sustainability Science Congress in Copenhagen. Sustainable intensification, broadly speaking, means to increase food production from already existing farmland while minimising impacts on the environment. In her talk, Garnett argued that sustainable intensification, although necessary, is not enough to tackle the multi-dimensional concern that is food security and explained that other factors should be considered, including accessibility and affordability of food, peoples’ living conditions, water sanitation, food storage, and cooking facilities. These, not just the quantity of food, are all vital dimensions that must be considered when aiming for a food-secure future. This is not the first time Garnett challenged the notion of sustainable intensification, she raised many questions in her co-authored 2013 article, ‘Sustainable Intensification in Agriculture: Premises and Policies’ [Article has limited access, view reflections here] including, does sustainable intensification imply a particular system or philosophy of agriculture? What about the ‘more food’ issue – how much more, what kind of food, produced where and for whom? Sonja Vermeulen, Head of Research at CGIAR Research Program on Climate Change, Agriculture and Food Security shed light on her view of sustainable intensification in her talk, ‘Food beyond the farm gate: ‘Environmental change, adaptation and mitigation.’ Vermeulen explained that while “producing more food matters, it’s not about increasing net quantity of food globally, it’s about focusing on areas where the largest yield gaps are present and where communities are most dependant on agricultural production for their livelihoods i.e. poorer, rural communities.” This is an initial answer to Garnett’s question as to who should intensify production but ultimately leads to many other questions. If it is true that sustainable intensification is aimed at the areas mentioned, will the communities within these areas have the sufficient resources to cope with intensified production, are they able to afford it, is their infrastructure strong enough to support it, and are they able to obtain the appropriate foods to meet dietary demands? An article from Popkin et al (2013) NOW AND THEN: The Global Nutrition Transition: The Pandemic of Obesity in Developing Countries reported a nutrition shift among developing countries to increased reliance upon processed foods, increased away from home intake and greater use of edible oils and sugar-sweetened beverages. The increase in these foods has resulted in what is called, the double burden of malnutrition, which refers to the dual burden of under- and over nutrition. Rapid increases in overweight and obesity status among urban and rural areas from sub-Saharan Africa and South Asia’s poorest countries have been documented, putting them at risk of diabetes and heart disease (Popkin et al, 2013). A profound message indicating that accessibility to more food does not necessarily equate to food security and can sometimes do more harm than good. Dr. Lindiwe Majele Sibanda Chief Executive Officer and Head of Mission of the Food, Agriculture and Natural Resources Policy Analysis Network (FANRPAN) explained in her talk, ‘Africa’s Rainbow Revolution will feed Africa and the world – It can be done.’ that many households in Sub-Saharan Africa do not have access to refrigerators or freezers and are therefore unable to prevent foods from rotting or being contaminated by unsanitary conditions. Sibanda added, many households also lack facilities to cook which can prohibit consumption of certain foods, regardless of their availability. How can communities living in unsanitary conditions hygienically store and prepare food without what we consider basic technologies? Regardless of the abundance of food, how can households like these ensure food safety and prevent contamination and illness, how can they feel a sense of food security? Yes, sustainable intensification is one of the many approaches that can help ensure food security and the challenge of feeding 9 billion by 2050; albeit, a solution in its infancy that must be jointly implemented. Let me ask you, what are your views and questions on sustainable intensification as a solution to food security? If we keep raising questions hopefully we will find more answers to the multi-dimensional puzzle that is food security.